hd00:20Three kids intently carving their Halloween pumpkins. They are using small, saw like knives. They are focused on their projects. 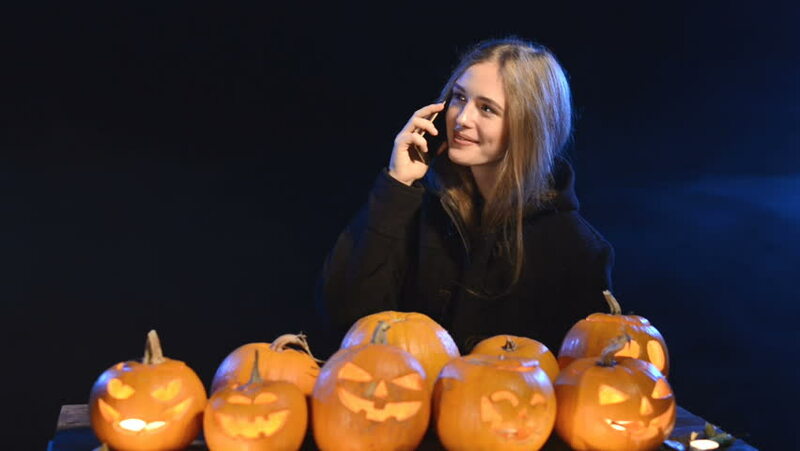 hd00:27Girl witch on Halloween on a ,holding pumpkin with a burning candle and casting a spell. Jack-O-lantern. hd00:29Halloween date: Jack appears from smoke and gives a bouquet to his bride.